If somebody asks me to define Udaipur in just a single word, without even wondering a little, I would say miraculous and I bet you would entitle the city with the same after perceiving its monumental palaces flaunting the rich culture of Mewar, panoramic lakes, and beautiful streets. Every globetrotter, whether an inhabitant or an outsider, put the City of Lakes on top in the list of best places to explore in the world. The JagMandir shows its dazzling glorious side during the dusky hours and looks spectacular amidst Lake Pichola. The more we try to envisage its picture in words, the more we stick up to a certain level. Apart from the incredible monuments and eye-soothing lakes, the city is also known for its tasty cuisines. 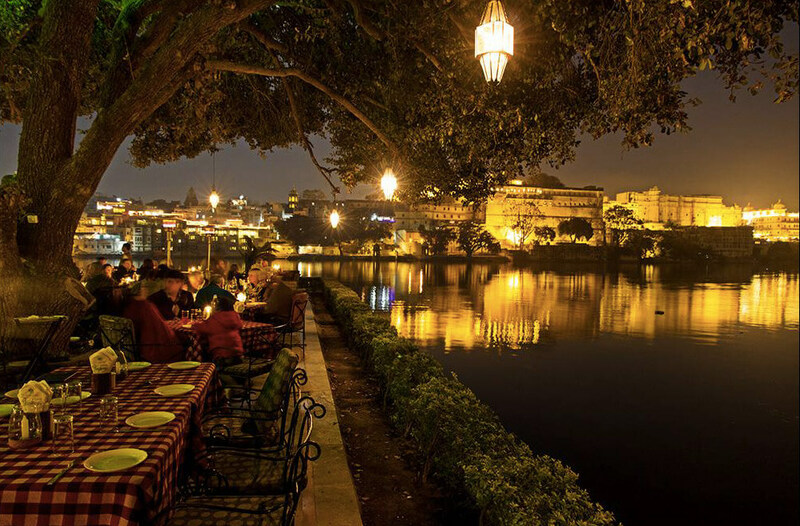 The local food of a particular place always plays a vital role in attracting the tourists and that is why we are giving you an insight about the most famous eateries of Udaipur. The city has got some well-known food joints that serve mouth-watering cuisines. 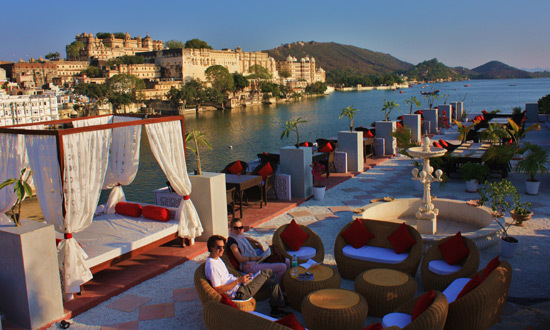 We have explored here 10 best most famous restaurants in Udaipur that you must visit out there. Located at Gulab Bagh Road, Chirag Restaurant is one of the famous restaurants in Udaipur to enjoy a nice evening and dinner with your family and friends. It offers you a variety of cuisines including Indian, Chinese, Continental, and much more. Moreover, the aura inside the eatery is very pleasant with shimmery lanterns, brick styled walls, music, and fresh aroma. This makes the diner feel more delighted. 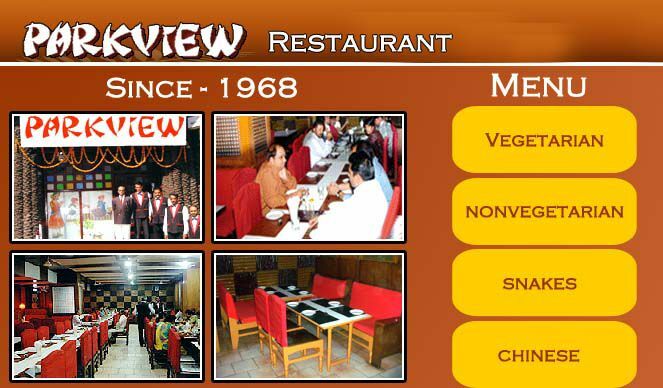 Millets of Mewar is considered as the first health food restaurant in Udaipur. To keep their guests nourished, they offer a variety of vegan and gluten-free food prepared in traditional ways. 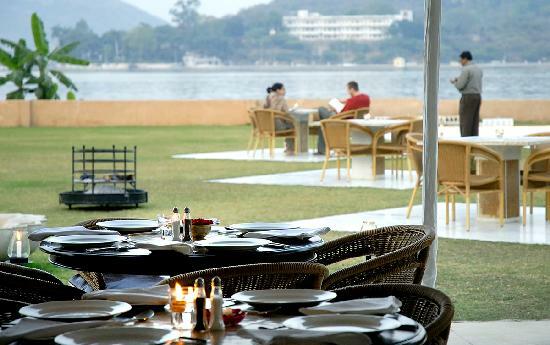 The eatery is situated at a place from where you can have a clear view of Lake Pichola while enjoying the cuisines. Founded by four friends who believe in ‘the power of food to inspire good health, good conversation, and environmental consciousness’, Millets of Mewar truly meets all the factors and hence one of the famous cuisine places of lake city. No other place could impart you the luxurious comforts in a pocket-friendly budget than this restaurant in Udaipur. 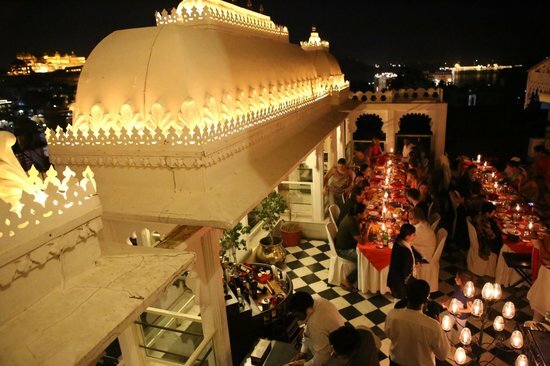 The Ambrai Restaurant at the Amet Haveli is located on the shores of Pichola Lake, which gives a phenomenal view of the Sajjangarh Fort, Jagdish Temple, City Palace, Gangaur Ghat, Lake Palace and Jag Mandir. Apart from the enticing visuals, the restaurant serves delicious cuisines with an eye-catching aura inside. For all the vegans, Udaipuri Restaurant is a perfect place to delight their taste buds as they offer purely veg cuisines with a fusion of Indian, Oriental, and Mediterranean twist. Moreover, the nearby visuals are truly amazing as the eatery is located in the heart of the city. Beautifully located on the banks of Fateh Sagar Lake, Raaj Bagh is a perfect royal restaurant surrounded by the garden. The ambience out there is extremely sophisticated and majestic, plus the amazing view of the lake makes the place more lively. 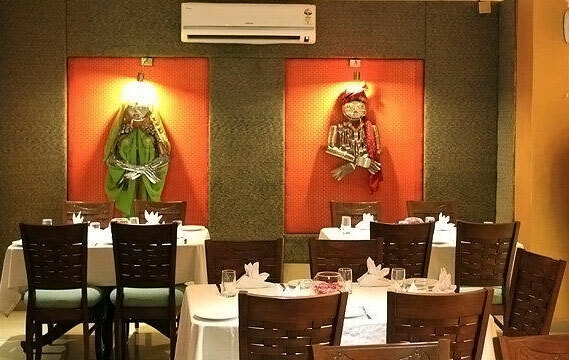 Raaj Bagh is quite popular for its eco-friendly international cuisines. Besides, it also delights the audience with a fascinating collection of Vintage Cars. 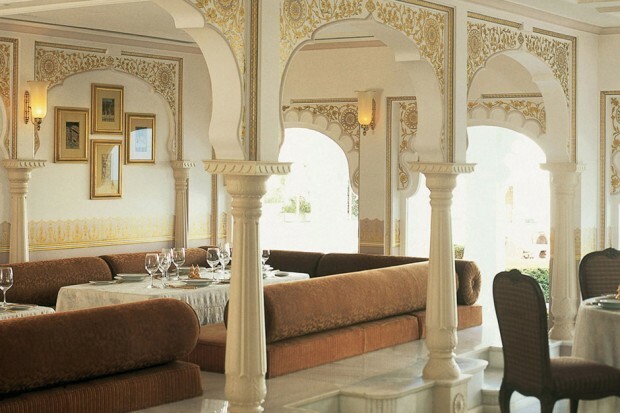 Don’t miss the Neel Kamal Restaurant at Taj Lake Palace if you make a trip for Udaipur for once in your life time. An epitome of the royalty and elegance, Neel Kamal has got subtle interiors like throne-like chairs, astonishing colors, curved sculptures, dazzling lanterns, small ponds, and a lot more. The hospitality services are exceptionally well, embracing the guests with smiling faces and let them relish the royal delicacies of Mewar. To complete the package, the live background music is like icing on the cake. 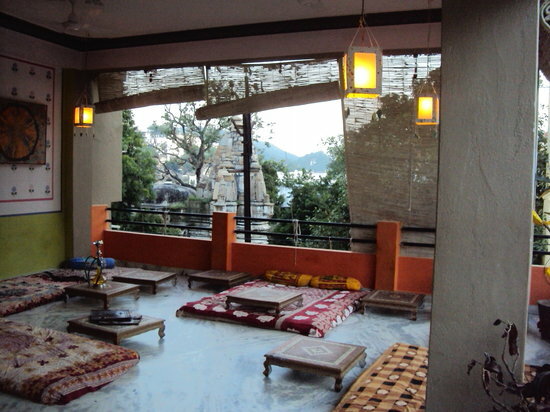 Savage Garden is a small restaurant in Udaipur situated at Chandpole having options to eat either inside the indigo-painted walls or go for the open courtyard. Furthermore, there is a tiny bar as well where you can have Indian wines imported from Nasik, Maharashtra. The rooftop Upre flaunts the city’s most elegant side with the panoramic views of the City Palace and the Lake Palace. Pampering the tourists with a diversified range of native and international cuisines, Upre by 1559 features elegant interiors via the light color curtains, modish decors, relaxing aura, and peaceful environment. Basically, if you are looking a place to spend some quality time with your loved ones, stop roaming here and there. Upre is a place to enjoy the breeze, spectacular views, and the golden dusk of lake city. Udai Kothi is the best boutique hotel in India marked by the National Geographic Traveller, the best wedding destination in Rajasthan by the New York Times, and comes under the category of one of the most exotic rooftops by UrbanNista&Co. A jewel at its best, Udai Kothi appears like a Shahi Darbar with marvellous decors amalgamated with luxurious hospitality services. Obviously, the excellent cuisine is the essence of the place, which grabs the attention of the guests in a quick instance. 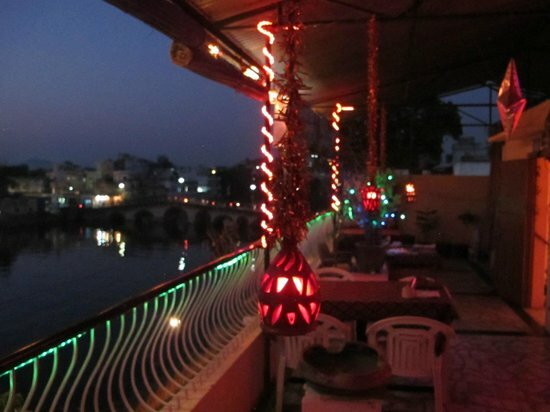 Located at the heart of the city, the Parkview Restaurant is one of the ancient restaurants in Udaipur. Besides this, it is also very economical that goes easy on the pockets. Famous for its Indian, Chinese, and Mughal dishes, the eatery also offers excellent hospitality services to tourists with a great taste. 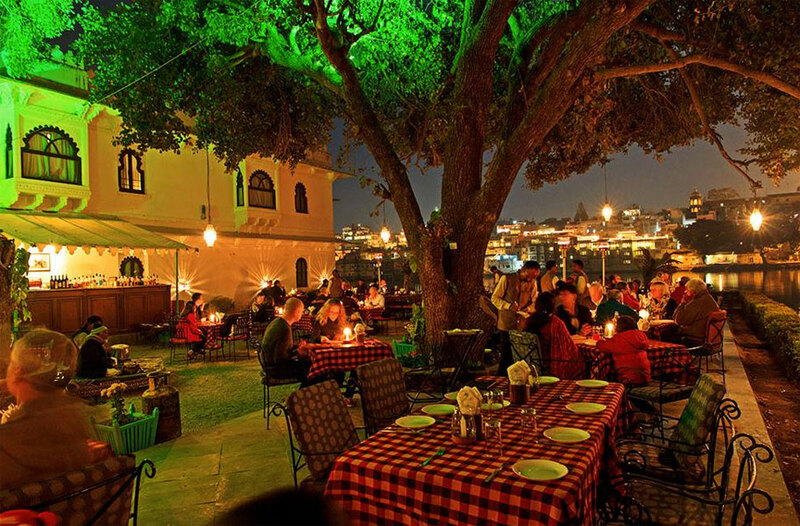 These famous restaurants in Udaipur will certainly help your tour in the city with a great ease. As every tourist destination has some well-known eateries to aid the globetrotters for making their journey more delightful, it is very important to impart the correct knowledge about them. We hope that the article would be beneficial to you. 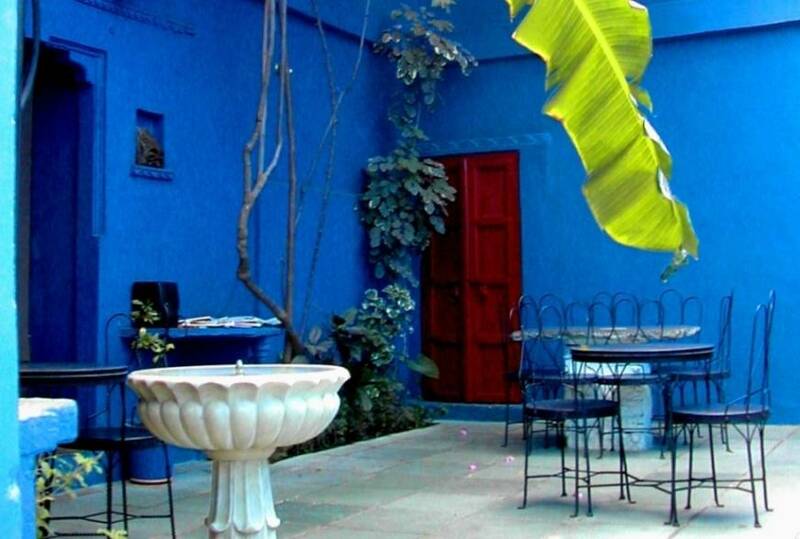 Have You Ever Heard About These Amazing Dine-Out Places in Delhi?